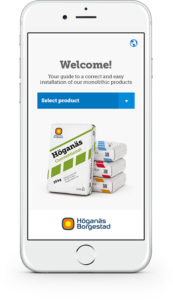 Höganäs Borgestad is an independent distributor of high temperature products and solutions to the Nordic countries. We focus on industrial insulation and fire Protection, and have focus on suppliers that meet our strict requirements. We have had our main supplier of high temperature fiber products, Morgan Advanced Materials, since 1877. Höganäs Borgestad represent several of the world’s largest and leading companies in fire protection and insulation such as: Morgan Advanced Material with a wide range of High Temperature Insulation. Environmentally friendly Firemaster®, Superwool® AES and Microporous Products. Calcium Silicate from SILCA, gaskets from TESPE. Keramab, Klevers and Hiltex on high temperature textiles. Accessories from TEMATI. Höganäs Borgestad supplies high-temperature insulation materials to the Aluminium, Steel, Ferro Alloy industry and foundries in the Nordic Countries. Höganäs Borgestad focus on new and innovative high quality products, and we offer solutions that provide the best possible result for our customers given their demands and requirements. Our customers are continuously being updated with new products available on the market. In an environmental friendly context we also wish to offer products that perform within the technical scope required. Special insulation solutions/engineering, sewing etc. Additional information related to high-temperature materials are available upon request. Our goal is to always provide high quality products suited for the customers need, with as direct lines to the producer as possible. Included in our service we offer supply chain management in cases where that is needed, so that we are able to minimize lead time.